Custom work schedules which deviate from the default work schedules created by your administrator can be created within your project. From within your project, select Options from the View drop down and then select the Custom Work Schedules tab. To start a new custom work schedule, click in the blank space within the Name column at the bottom of the list. Name assign the new custom work schedule a name. Inherits From enables you to select from any other already predefined schedule. Once you save the save the schedule the name will become a link. Click on link and the work schedule will open and you can adjust it to your custom choices. 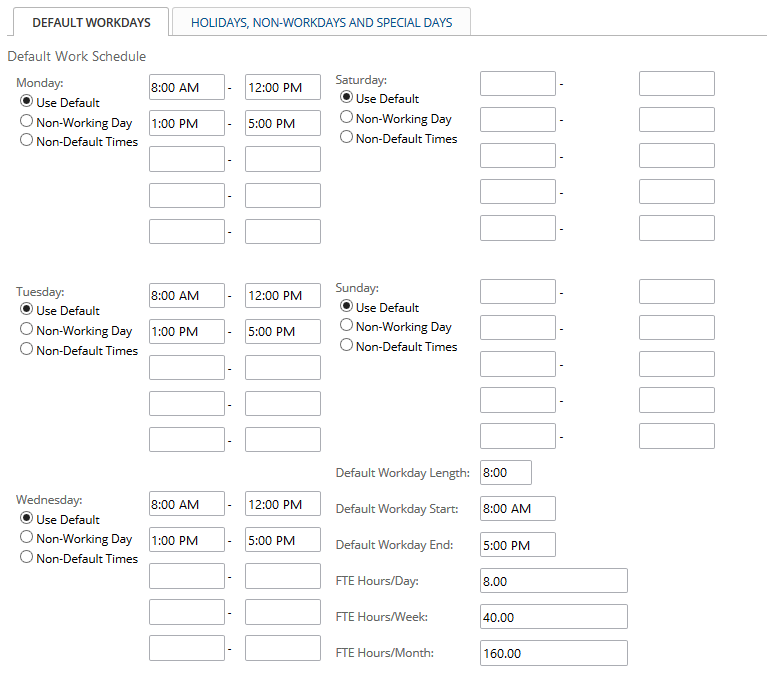 Default Work Schedule(s) for help with the form to edit a work schedule. Add Resources to Projects for help applying a custom work schedule to a specific project resource.